Currently two superstars of Bolloywood are hosting two shows with huge sums to be awarded to the winner. The shows are Kya Aap Paanchvi Paas se Tez hain – Dus Ka Dum hosted by SRK and Salman Khan respectively. As is the nature of the general public, people are interested in knowing what will be success of these shows. Following is an analysis Ganesha has done on the basis of the time the shows had started. The primary importance in astrology is provided to the Ascendant and its lord. 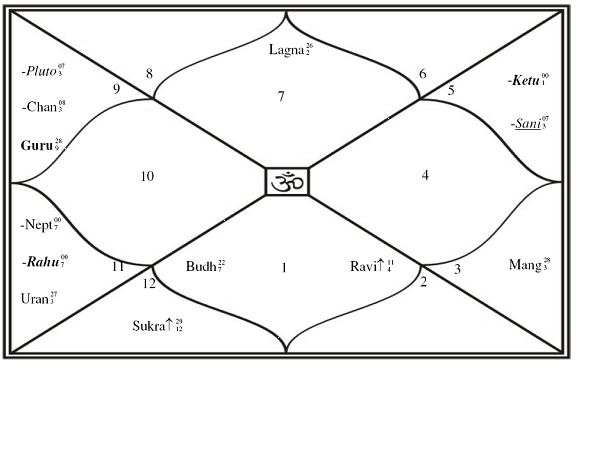 In Paanchvi Paas, the ascendant lord is Sukra and is exalted in the natal as well as the Navamsa chart. This shows that the show has the potential for glamour and fun as well as pulling crowds (here for the small screen pulling crowds means TRPs). In Dus Ka Dum, the ascendant lord is Guru, who is Swagruhi and retrograde in the ascendant itself, fortifying its own longevity and success. 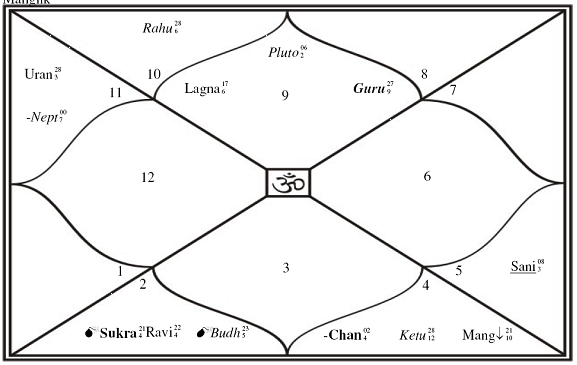 Guru is also Swagruhi in the Navamsa chart. This will draw a lot of commercial value to the show. Thus prima facie both the shows have potential for success, but as the ascendant lord of Paanchvi Paas is a fast moving planet and changed signs and Navamsa the next day, this show will see lots of ups and downs, while Guru the lord of Dus Ka Dum is a slow moving planet and in its retrograde motion is going to meet the ascendant degrees and will not change its Navamsa sign so soon as Sukra did in Paanchvi Paas, Ganesha sees a long term slow and steady growth and success of the show Dus Ka Dum, in comparison to Paanchvi Paas. Wishing both the shows and their hosts grand success.